‘Backed by Maya’ is an awesome New York based startup. 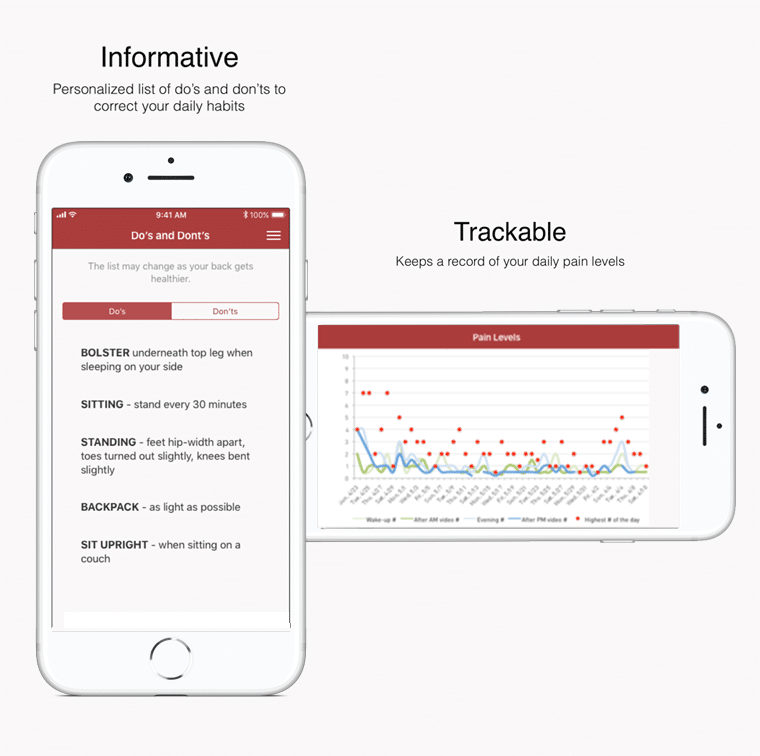 They need a technological partner to help them build a physical therapy guidance app to a pain free low back. 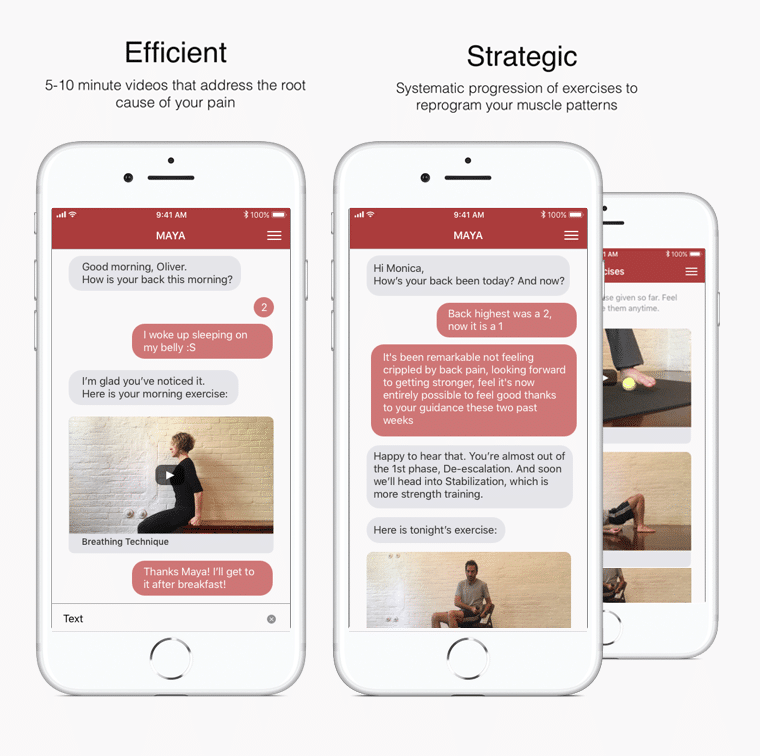 MAYA checks in every morning and night, sending you short videos and recommendations and walks you through a systematic progression of exercises to dismantle the cause of low back pain and reprogram your muscles patterns for a strong back. 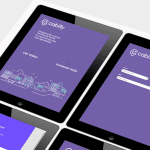 We used Xcode, Swift, Objective-C Unit Testing among other technologies to deliver the first version of the game changing application. For accomplish this, they need a Web Management Platform to manage all workflow process and OSX AI Engine which we are very proud off. Working for over 2 months, today many users are enjoying tips & excersises, getting better thanks to this app.